A stock rocket called 1st MunRocket. Built with 30 of the finest parts, its root part is mk1pod. 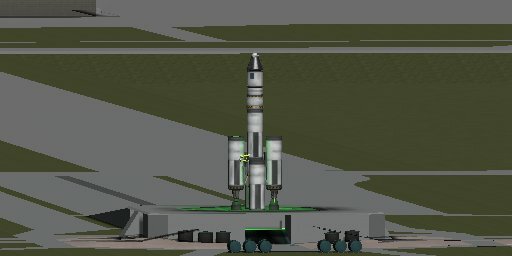 It’s a 30 part Rocket that can get you to the Mün and back in early game!